There’s no doubt about it, The Shack by William Paul Young is a brilliant book. The author recalls the captivating story of a friend who experienced something incredible. After this friend (named Mack) tragically loses his daughter during a holiday outing, Mack’s life is tortured by what is referred to in the book as his Great Sadness. The book tells the moving story of how Mack’s sadness is overcome by a miraculous and wonderful experience. One day, he receives a note that prompts him to visit a shack out in the woodland – a shack that brings back terrible memories for Mack as it is the place where his daughter was cruelly murdered. After agonising about the note, Mack makes the decision to revisit the shack, and what he experiences during his visit is out of this world. I don’t want to go into details here (I want to avoid spoilers!) but Mack’s experience when he returns to The Shack is deeply spiritual. He has an encounter with the divine that is quite profound and unexpected, and the flow of the plot will keep you turning the pages with anticipation. Although this book will appeal mainly to Christians, it will also be of interest to anyone with spiritual inclinations who marvels at the mystery of existence. The overarching theme of the book is that beyond the tragedies of this life there is a loving God who can and will (eventually) make sense of it all. I would recommend this book to anyone, and I hope you will read it and enjoy it as much as I did. To say that this is a fantastic book would be an understatement. God the Father used this book to get past my “I don’t need another father, thanks just the same” defenses. The way He appeared in the book (no more or less accurate than as a white-haired Caucasian male…He is not that either) was so shocking to my sensibilities that He stole past those defenses and won my heart. I’ve “journaled” my way through the book a few times, each time gaining more freedom from wounds. One important thing the book did for me was show why I was unable to make/keep friends. You can read about it here, if you like: http://lessonsbyheart.wordpress.com/2013/05/31/now-why-would-…gree-with-that/. 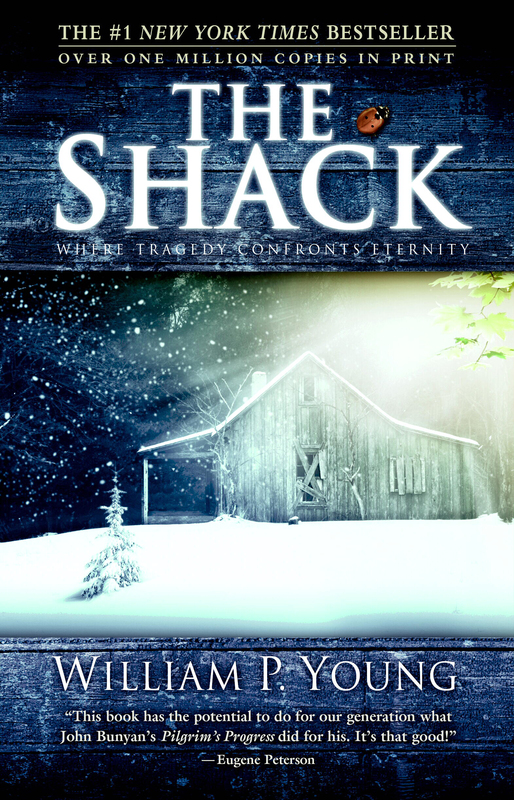 Thanks for giving a review of The Shack, hopefully piquing other’s interest in reading it. Praising Jesus who set me free from MPD! Thanks Tami. I was very interested to read your blog about The Shack and it’s great that the book helped you so much! I noticed in Waterstones that there is a book called The Shack Revisited, do you know whether that’s worth a read? I pray that you learn to use discernment by the Holy Spirit’s help and become a good Berean. This book is blasphemous and it must hurt the only true God to see His children fall for such a demon-inspired creation thinking it is about Him. Remember, if it does not line up with the scriptures then it is “another Jesus” which Paul warned of. This Shack “Jesus” is a New Age “Jesus.” Be very careful! The enemy of your soul is very slick! Pray to God for discernment-that He would reveal to you all of the lies you are believing as truth-and all Christians need to pray this prayer…If the enemy cannot steal your salvation, he will steal your rewards in heaven. I speak this in Christ’s love to my dear brother.